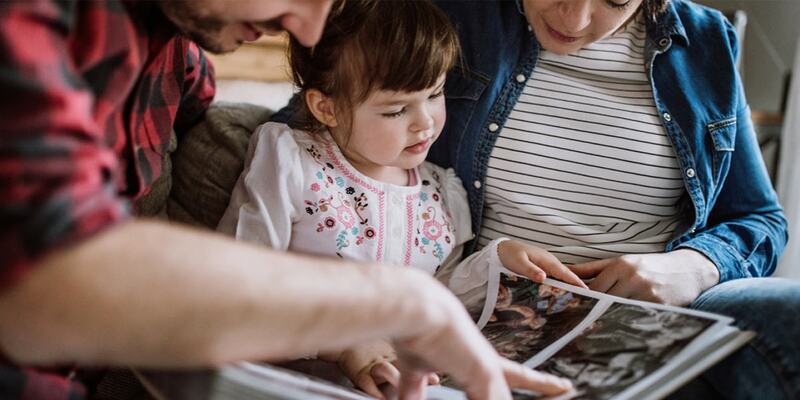 From wall art to photo books, a photo product is the perfect place to show off your nature photography and bring the outdoors into your home. 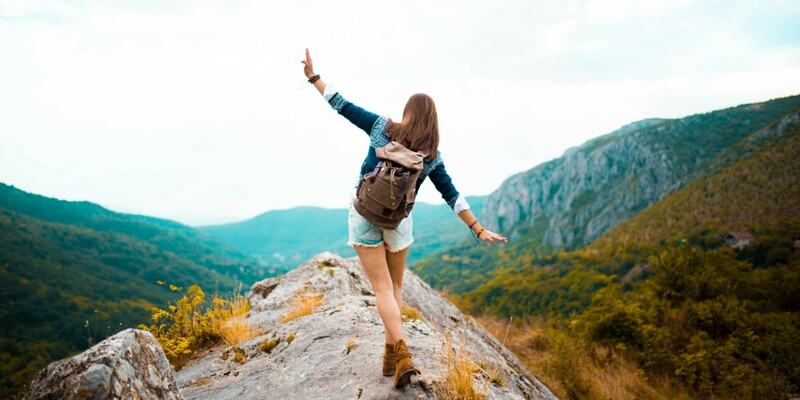 Being in the outdoors and surrounded by nature is one of the quickest ways to lift your spirits and put a smile on your face. Photographing those peaceful scenes and putting them on photo products will take you back to the moment whenever you look at them and bring back those feelings of happiness. With that in mind we’ve come up with seven creative photo product ideas for your nature photos. And we’ve even got some nature photography tips to help inspire you next time you’re out and about with your camera. 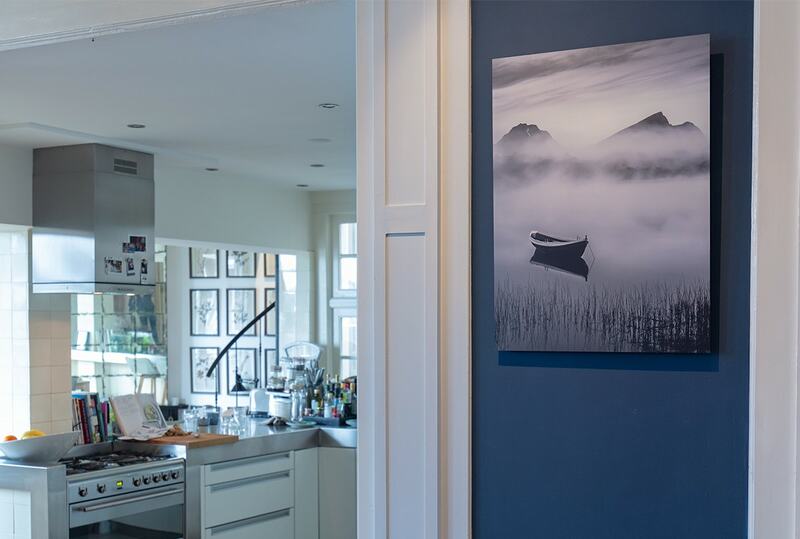 Aluminium wall art is perfect for printing black and white photos of nature thanks to the sharp image quality and matt finish. It will make your photography look professional and it’s sure to attract compliments from house guests. Tip: Don’t shy away from black and white when it comes to nature photography. Use the setting for moody skies, windswept landscapes and any scene where you can play with reflections. Sometimes when you visit a place, the scenery is simply so stunning that it’s hard to capture it on camera. But it’s worth trying because the results can be amazing. 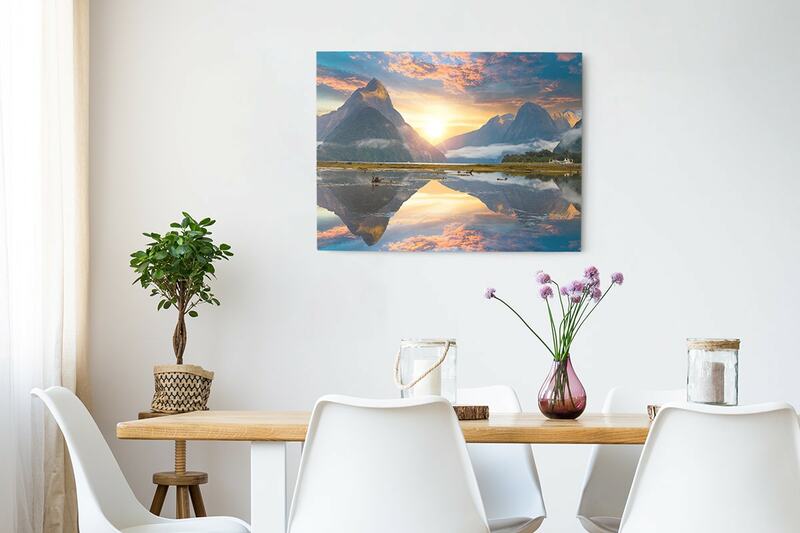 Printing your favourite photo of a sweeping vista on an acrylic wall art will enhance the colour luminance, depth and detail of your photo and also give it a beautiful shine. Tip: Most amateur photographers won’t use a tripod regularly but it really will make a huge difference. You can buy a small hand held one and perch it somewhere to make sure you get the best shot possible. 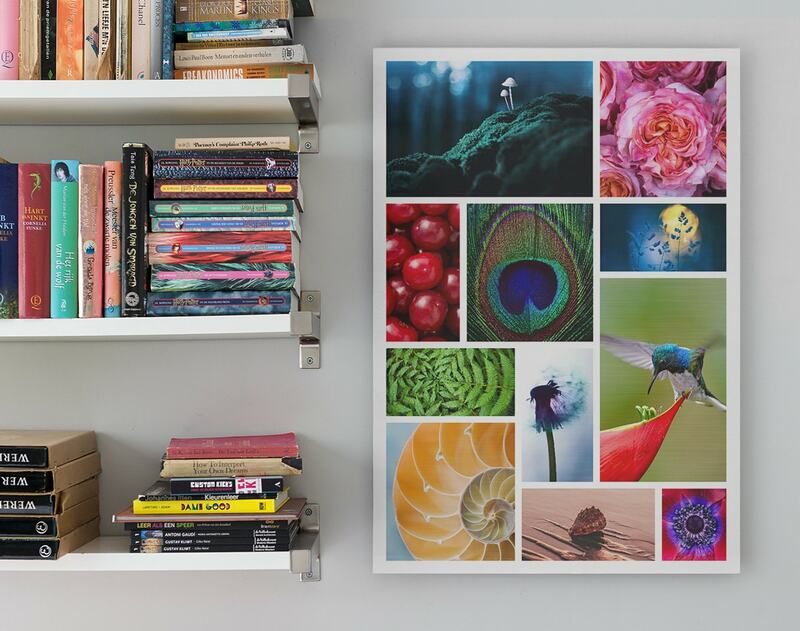 With our mosaic grid wall art you can print between 9 and 81 photos on a single wall art, creating a gallery of your favourite shots. 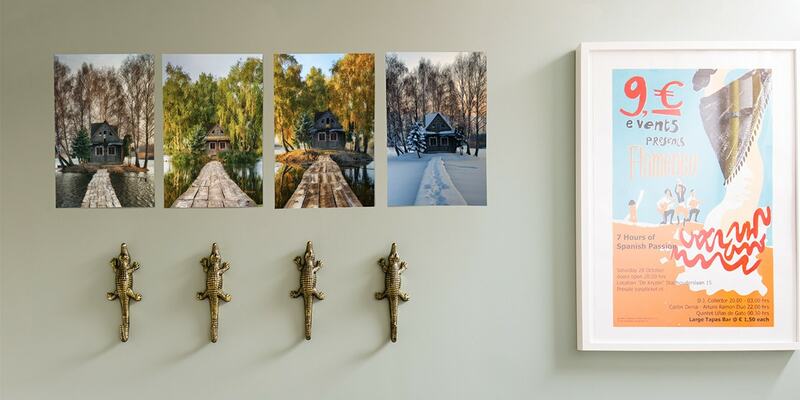 We think a mosaic grid wall art of lots of close-up photos of details in nature will make an attractive and thought-provoking display in your home. Tip: Most cameras (and smartphones) have a macro setting that will allow you to take a close up photos. This setting will bring out all of the finer details of your images. 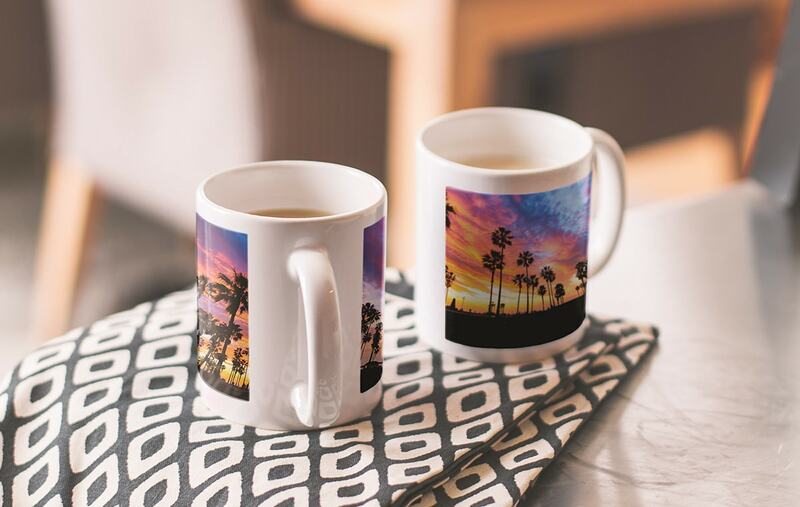 When you create a mug in our mobile app it’s possible to use a panoramic photo that wraps around your whole mug, ensuring it will look great from every angle. A sunset photo is perfect for this. The stretching horizon and gorgeous colours will make you smile when you have your morning coffee. Tip: Use silhouettes in your sunset photography to give your photos a sense of perspective. We love palm trees. For more ideas like this read our sunset photography tips. 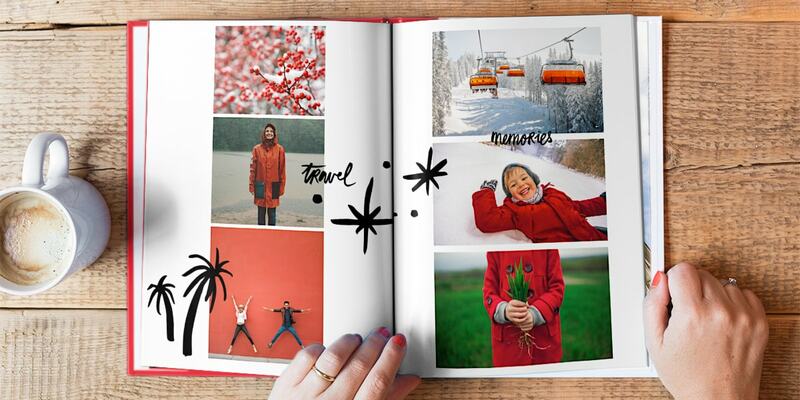 Whether you’ve been on an intrepid trekking holiday lately or on a trip to the local seaside resort, a holiday photo book of all of your outdoor adventures will be a joy to create and a joy to look back on. 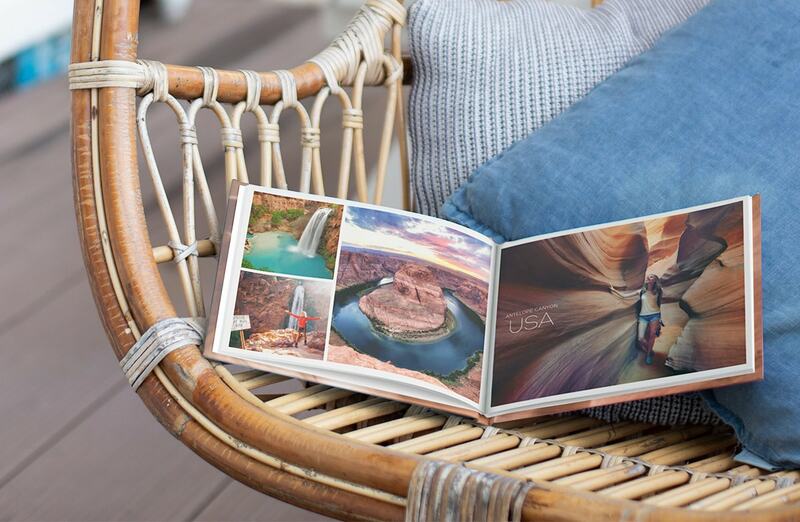 Choose your favourite photos and print them all side by side in a photo book. Tip: While scenes of nature are beguiling themselves, adding people to the scenario can make your photos even more interesting. A person at the foot of a cliff or waterfall will help people appreciate the huge proportions of the natural wonder. We love printing nature photos on photo prints because they’re such excellent value that you can print as many as you like and also change them regularly. 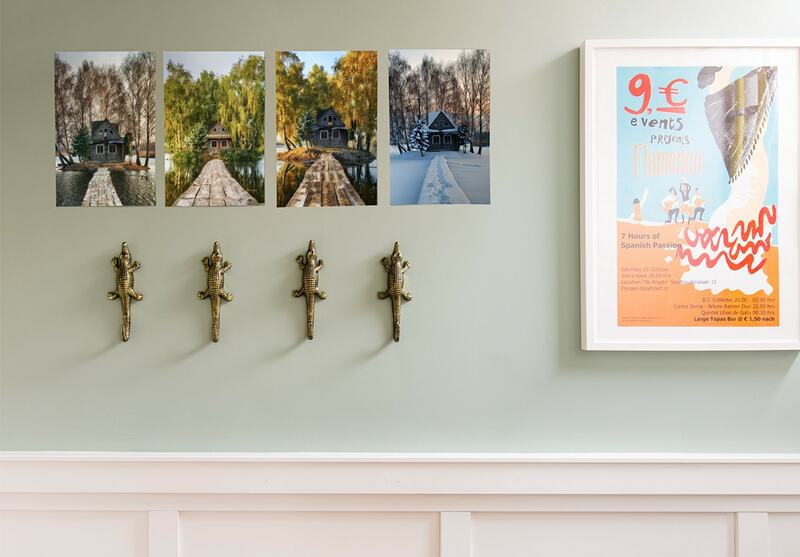 This makes seasonal photos perfect for photo prints. In the winter you might like scenes of pine forests and snowy mountain caps but in the summer you might prefer beaches and hazy skies. With our photo prints you can print them all! Tip: Some landscapes will change immeasurably with the seasons so choose a spot and take a photo there once a month over the period of a year. You’ll be amazed by the results. Nature is full of surprises and this includes its rich and diverse colour palette. 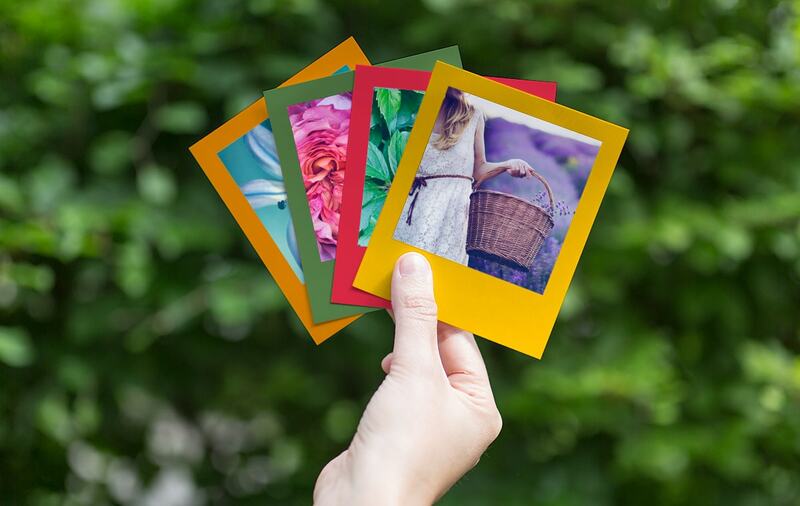 To really bring out the colours in your photos, print retro prints from our mobile app and add contrasting coloured borders. Tip: Don’t be afraid of editing your photos. While you don’t want them to look over-edited, a few simple tweaks can help colours and details pop. Read our blog about the best photo editing apps for some tips. We hope that’s inspired you to get outside and take some photos and then create beautiful photo products. Why not share this blog post with friends and family using the links below to inspire them too?